KEN YUSZKUS/Staff photo. 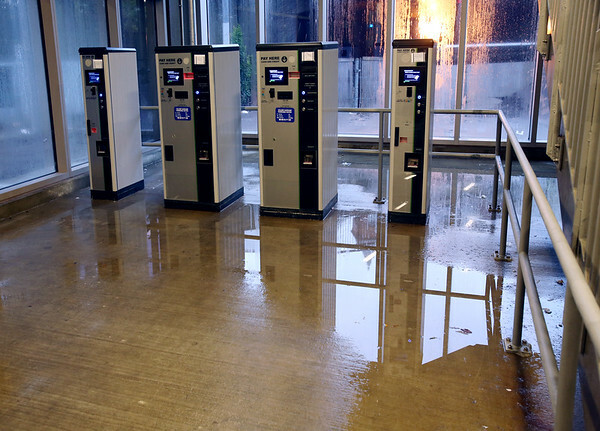 Standing water is present near the pay stations in the waiting room on the ground floor at the new Salem MBTA garage. 10/29/15.